Home Uncategorized Over 4000 children experience science like never before in Mumbai! 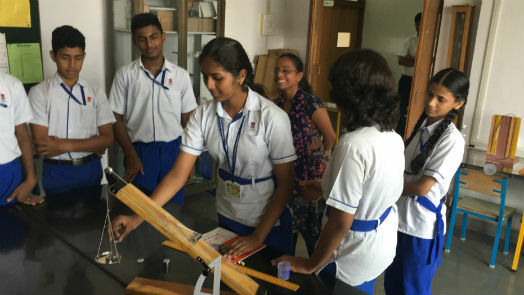 Mumbai: With an aim to spark curiosity, nurture creativity and build confidence among economically disadvantaged children, Akshara Foundation of Arts and Learning in collaboration with Agastya Foundation has set up a unique Science Centre at Akshara High School located in the northern suburbs of Mumbai. BookASmile, the charity initiative of BookMyShow, has extended its support to Akshara Foundation for this initiative that will help enhance and build scientific knowledge among students of the school. The program will supplement the Government School system of Mumbai with experiential science learning linked to school syllabus. It is a space for children to learn in a hands-on, interactive and positive environment. Children will perform experiments, learn to make simple models with easily available low-cost materials and participate in team-based projects.